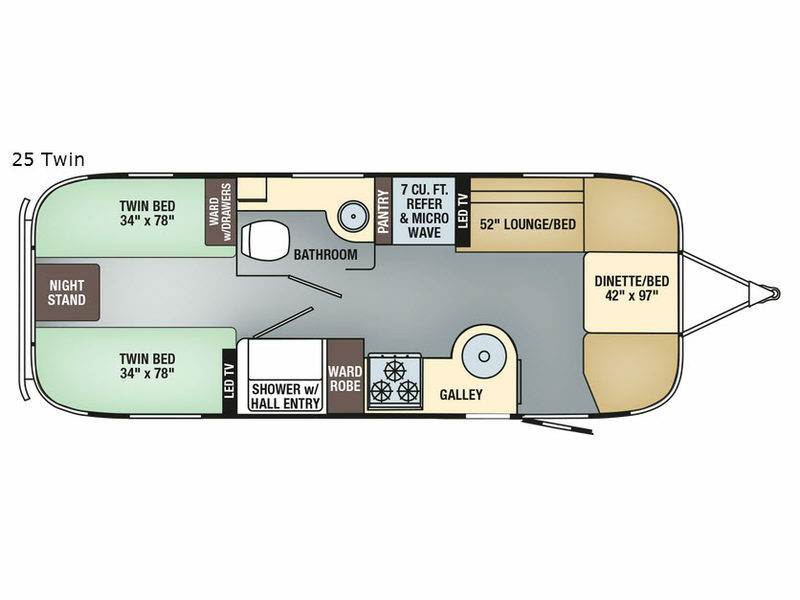 This Flying Cloud 25 Twin travel trailer by Airstream features twin beds in the rear, and sleeping space up to six throughout the trailer. To the right of the entrance you will find a 42" x 97" dinette/bed. You can enjoy dining during the daytime, and at night convert this area into more sleeping space. Next to the dinette there is a 52" lounge/bed and an LED TV. 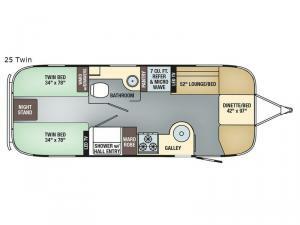 The galley offers a single sink and three burner range along one side, and a refrigerator, microwave, and a pantry along the other side of the trailer. The split bathroom has a private toilet area and vanity with sink along your right side and across from the toilet area there is a shower and a wardrobe. Featured in the rear bedroom area are twin beds with a nightstand between, and a wardrobe with drawers along the road side. There is also an LED TV at foot of curb side twin, plus so much more!